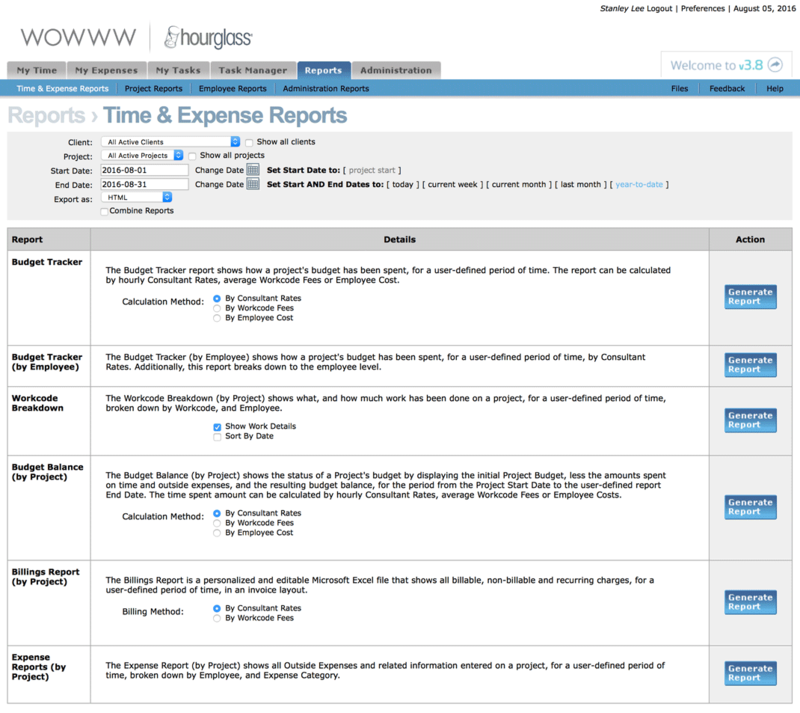 Time & Expense Reports help you manage project budgets, track company expenses, generate invoices for billing and track billable hours. 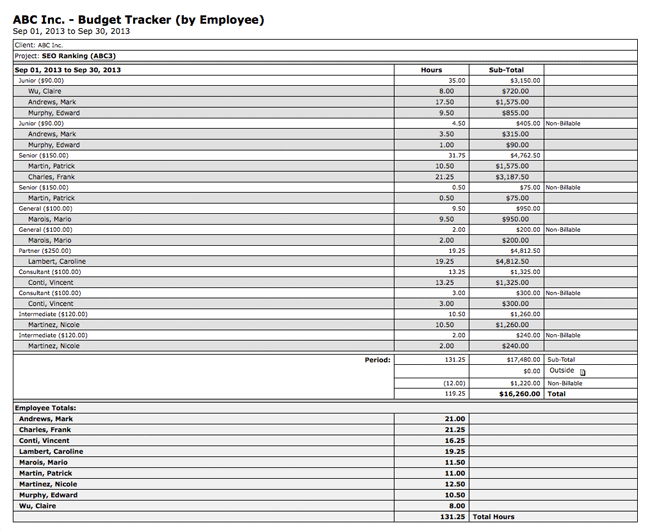 The Budget Tracker shows how a project's budget has been spent, for a user-defined period of time, by Consultant Rate or average hourly Workcode Fee. The Budget Tracker (by Employee) shows how a project's budget has been spent, for a user-defined period of time, by Consultant Rate. 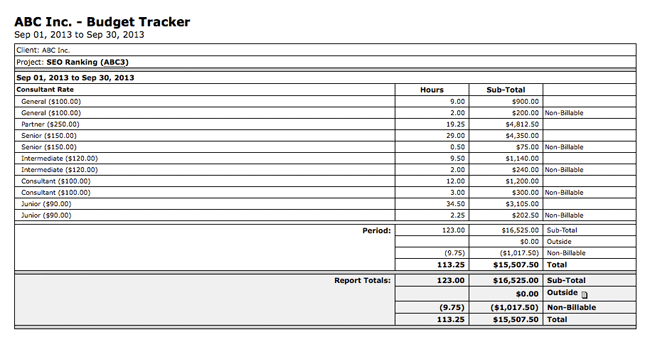 Additionally, this report breaks down to the employee level. 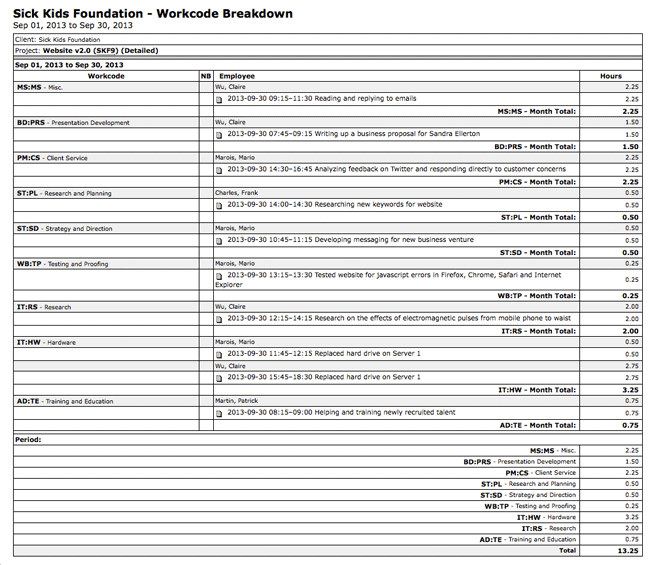 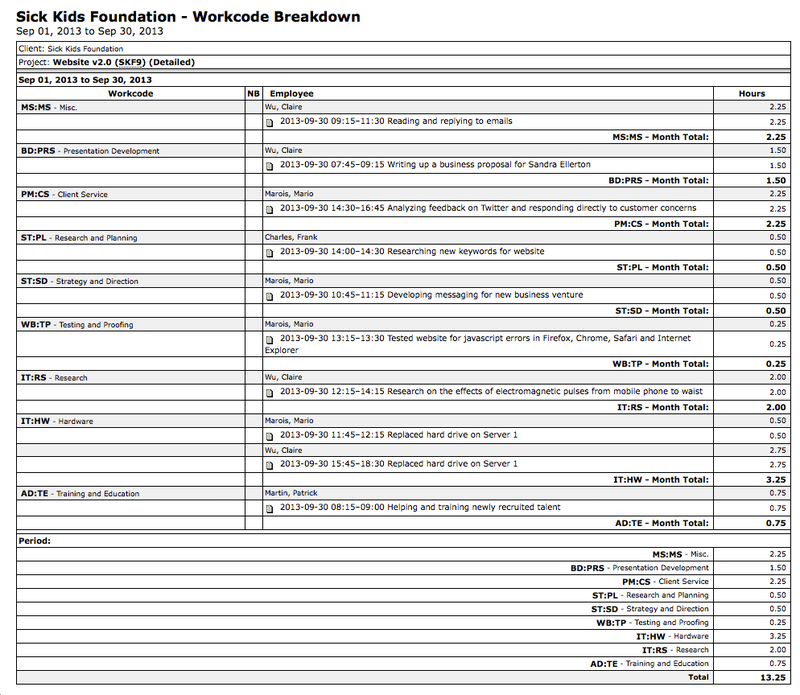 The Workcode Breakdown (by Project) report shows what, and how much work has been done on a project, for a user-defined period of time, broken down by Workcode, and Employee. 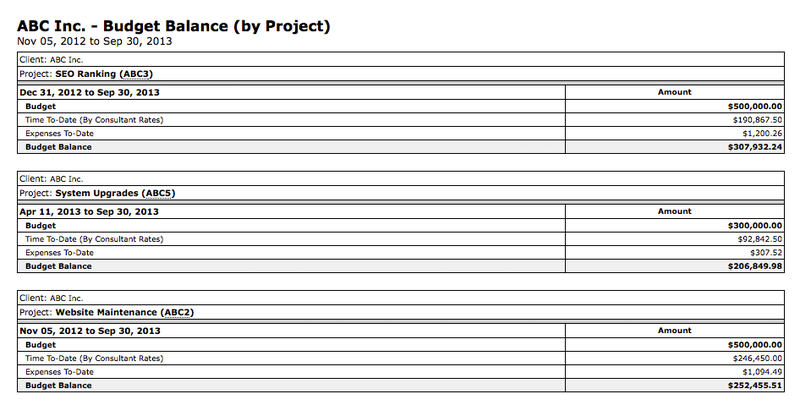 The Budget Balance (by Project) report shows the status of a Project's budget by displaying the initial Project Budget, less amounts spent on time and outside expenses, and the resulting budget balance, for the period from the Project Start Date to the user-defined report End Date. 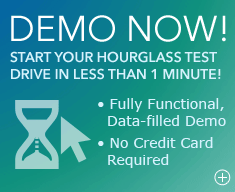 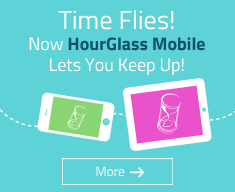 The time spent amount can be calculated by hourly Consultant Rates, average Workcode Fees or Employee Costs. The Billings Report (by Project) is a personalized and editable Microsoft Excel file that shows all billable and non-billable totals by project, for a user-defined period of time, in an invoice layout. 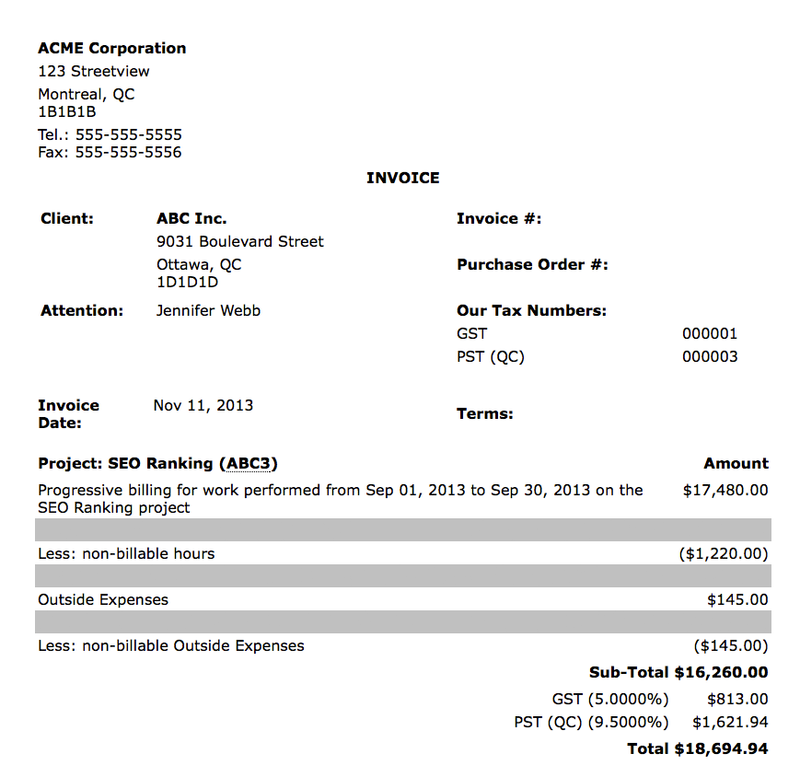 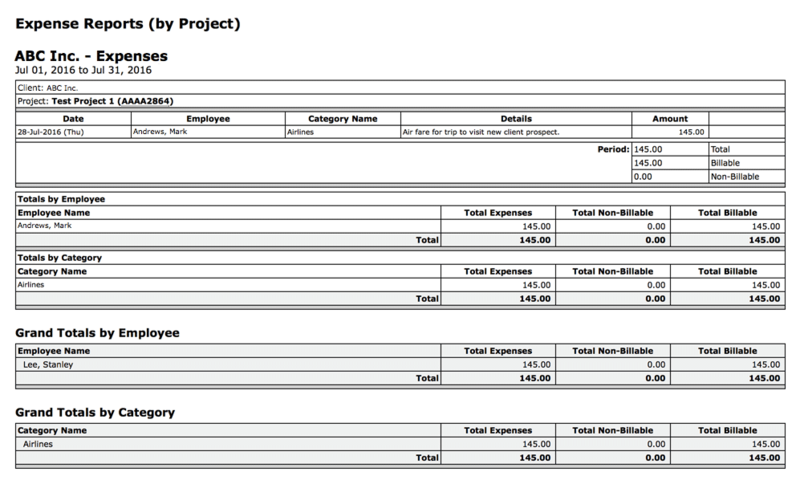 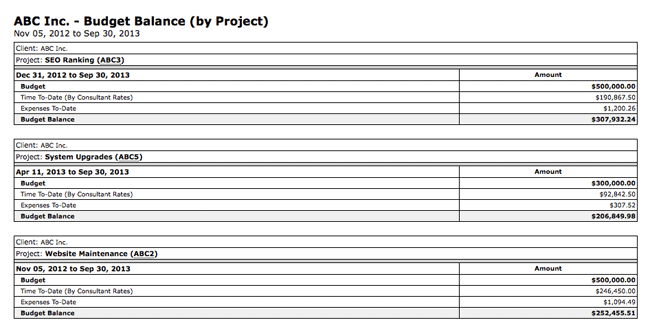 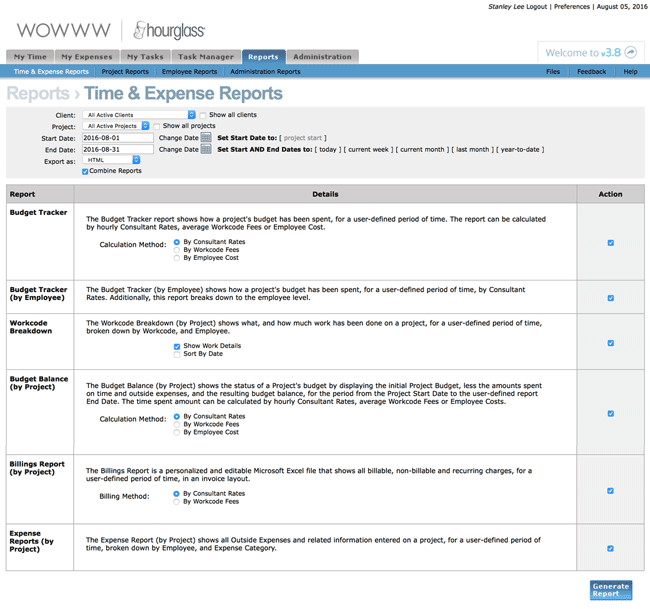 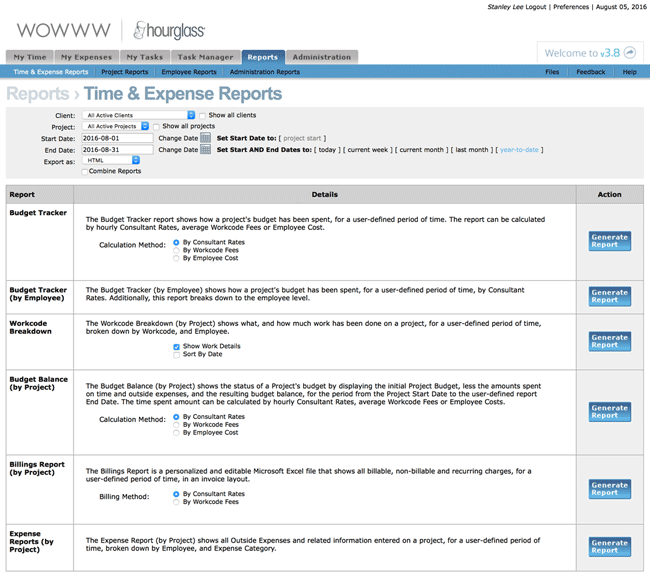 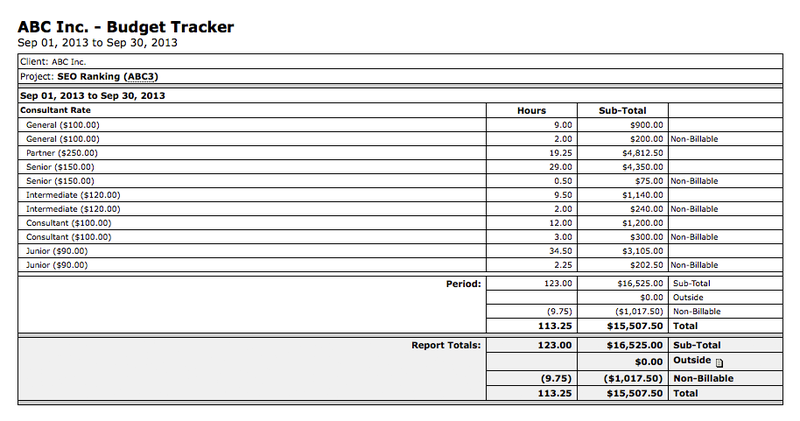 The Expense Report (by Project) shows all Outside Expenses and related information entered on a Project, for a user-defined period of time, broken down by Employee, and Expense Category. 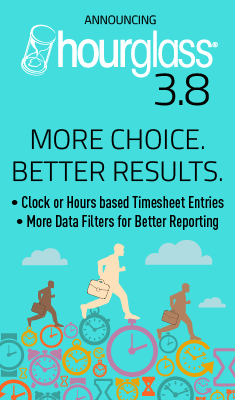 The Combine Reports function allows the generation of multiple reports in the same report that can be sorted to determine the order in which they appear in the combined report.